Kate walks into her colleague Sara’s office and sees a floor plan and diagram on the wall. “Sara, what’s this? A new house?” Kate asks. “Curt and I are building a new home!” Sara says. “How did you hear about Harbinger Homes?” Kate asks. The following weekend, Kate and Randy go to see Chris at Harbinger Homes. The scene just described is based on a true story. Getting there involves hard work, but it does happen. First, it comes from a companywide commitment to change and to operational excellence so consistent that it nets a high level of enthusiasm from customers. Second, a consistent flow of referrals demands dedication to being a referral sales-minded builder with a proactive strategy. Again, it’s a lot of work, but it can produce more than 40 percent of your sales—forever. 1| Take a look at where your company is now. You can’t know if you’re winning if you don’t keep score. • How many of your sales come from customer referrals? • Which members of your sales team regularly generate referral sales? • Have you determined if you have customers who are referral stars—who have referred multiple potential buyers? • Are you even tracking referrals? A correctly executed Voice of the Customer (VOC) program is a step toward this objective scoreboard. 2| Make sure your company earns referrals. and the home is “brand new,” clean, and ready to move into by the final walk-through. Trust via teamwork: Carefully define and teach expectations. Doing so as a team (salesperson and superintendent) becomes more powerful because teamwork becomes obvious. Teamwork Voice of the Customer (VOC) ratings are strongly correlated to future referral sales. A critical part of creating a referral-strong culture is to teach this to your customers as an integral part of your homebuying process. In the Harbinger story, referral sales seeds were planted early and often by each member of the team. Harbinger did a great job teaching the floor plan (the What) and the experience (the How) to Sara and Curt. 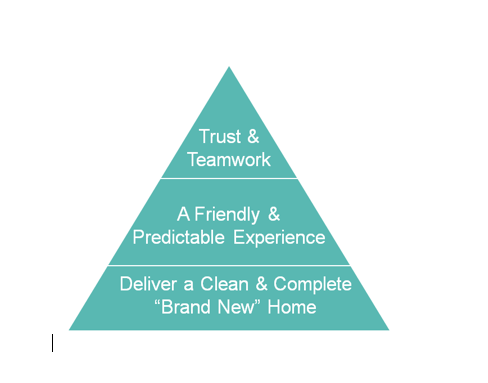 Educating buyers on what to expect through each step of home building, combined with positive interactions with the team, created customer bonding to the house and the team in an emotional way. Both are key to fully accelerate referral sales. Harbinger also gave its homeowner a great tool, the Pathway chart, to help customers tell their referral story to family and friends. Here, they educated the buyer and scattered the seeds. Monetary rewards to the customer may not be the best choice for a Referral Sales program; cash can turn a relational event into a transactional one, and that’s not good. Atlantic Builders offers a thank-you like Harbinger’s. In the Friendship Tree Program, the tree and a Giving Tree key ring are a warm reminder and thank-you with lasting emotional resonance. Referring is a learned behavior. In order to be elicited, it must be asked for, and even taught. 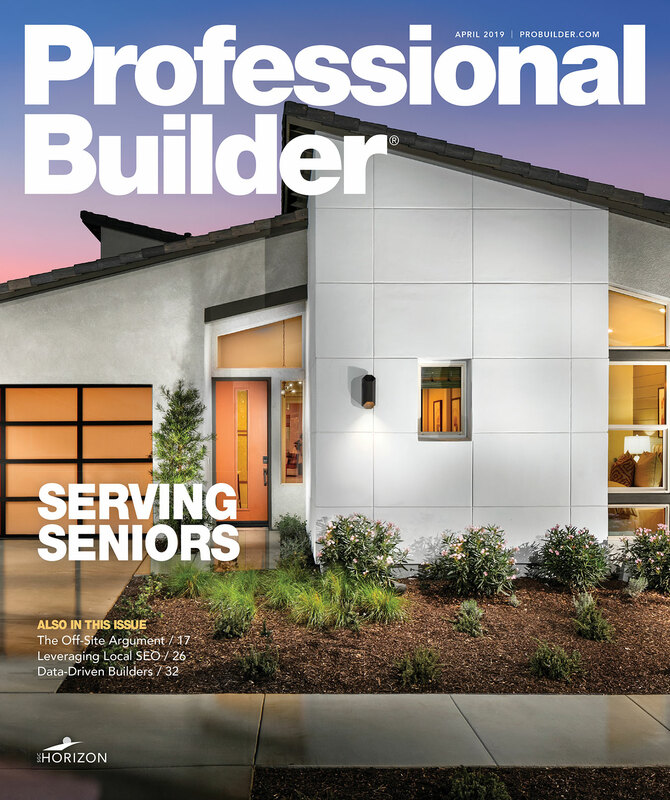 Woodland, O’Brien & Scott studied 2,000 homeowners across the U.S. Group A was comprised of homeowners who weren’t referred to their home builder. Group B consisted of homeowners who were referred by a family member or friend. Group B, those who were initially referred, ended up referring 4.25 prospects each, versus Group A homeowners, who referred, on average, 0.75 potential buyers each. Given that referral prospects convert to contracts at a 3:1 ratio, this is an opportunity loss of 1 gross profit (averaging $75,000) for every referral under 40 percent of your sales. The planting of referral sales seeds isn’t finished after the sale. What are you doing to acknowledge your referring customers and keeping them engaged with your company? How about delivering a surprise pumpkin at Halloween? Or, inviting homeowners to a special pre-opening reception for new home models? Spend time creating effective and varied ways to let your homeowners know they still matter. Your referral sales rate is much more than just a way to save money on marketing costs. It’s the most effective litmus test of your company’s leadership and operational excellence. Are your current customers happy enough with you to encourage others to trust you? Will they risk their reputation on yours? If the answer is yes, you’re doing well. If the answer is no, you’re losing a lot of integrity and gross profit. Charlie Scott has more than 30 years of first-hand home building experience, much of it in senior management positions with an award-winning, nationally recognized Midwest builder. Currently, he's director of Woodland, O’Brien & Scott for Constellation Homebuilder Systems. Scott helps North American home builders grow their own customer-centric cultures, pursue operational excellence, and increase referral sales. Write him at charlies@woodlandobrien.com.